Share with others your review of a product you have used. Rules inside. Anyone bought from Ebay seller "lewnews" ? Wonder Shells! One of my favorite aquarium additives. My Goldfishnet experience.. What an expensive mistake! Large Ranchus for sale atlocal pet store. API Mars Fish Care... Excellent Service! 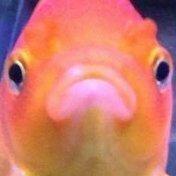 Has anybody ever bought fish from goldfishnet? Coralife Super Luft Pump! (Good customer service)!